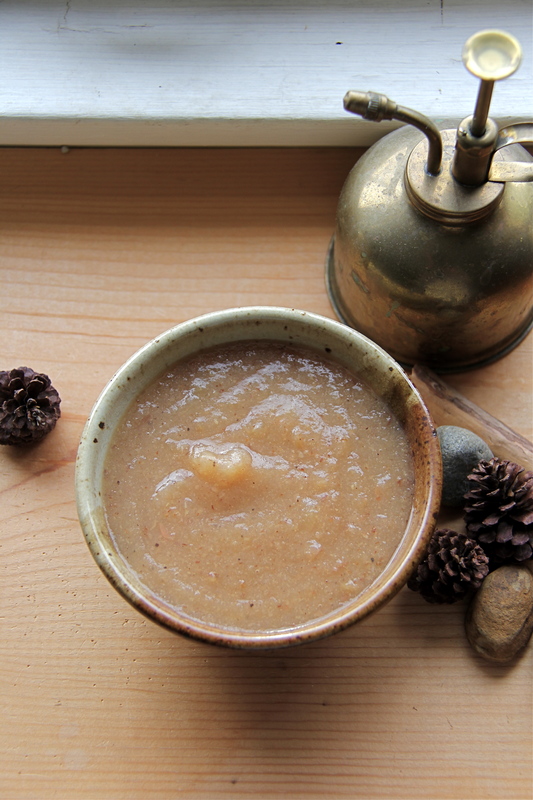 Dark winter mornings call for hearty fare and this recipe fits the bill. 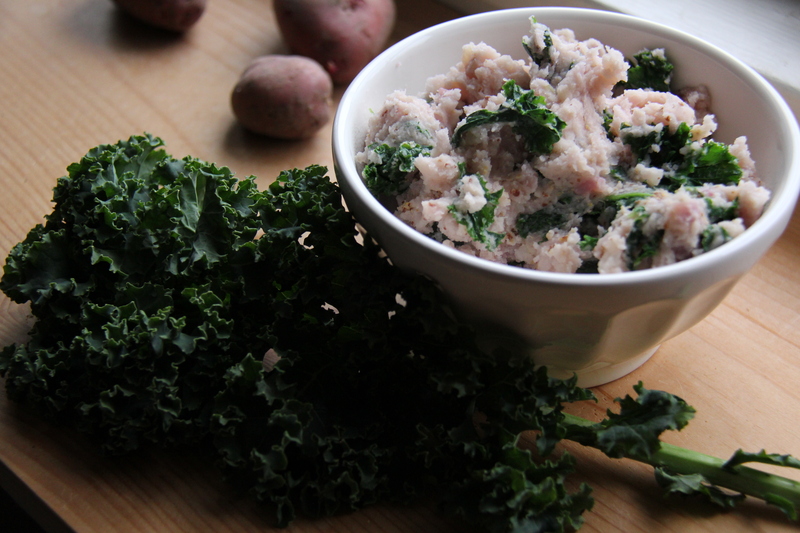 Colcannon is a traditional Irish dish made from potatoes and kale or cabbage. It is comfort food at its finest. While this dish can be served as a side dish at dinner, we like to have it for breakfast with sliced bacon and a fried egg. When you’re cooking the potatoes, be sure to place them in the pot right away so they come to a boil with the water. This ensures they cook through evenly without being crumbly on the outside and hard on the inside. This recipe is written to serve two as a hearty breakfast but feel free to increase the quantities as needed. This week was the last delivery of Jubilee’s CSA for the Fall session. 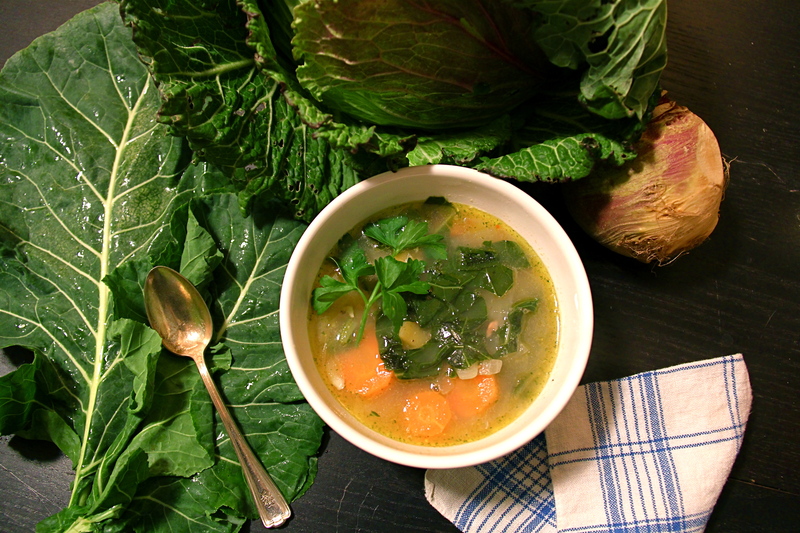 Thank you so much for following along as I wrote these recipes with our weekly bounty. 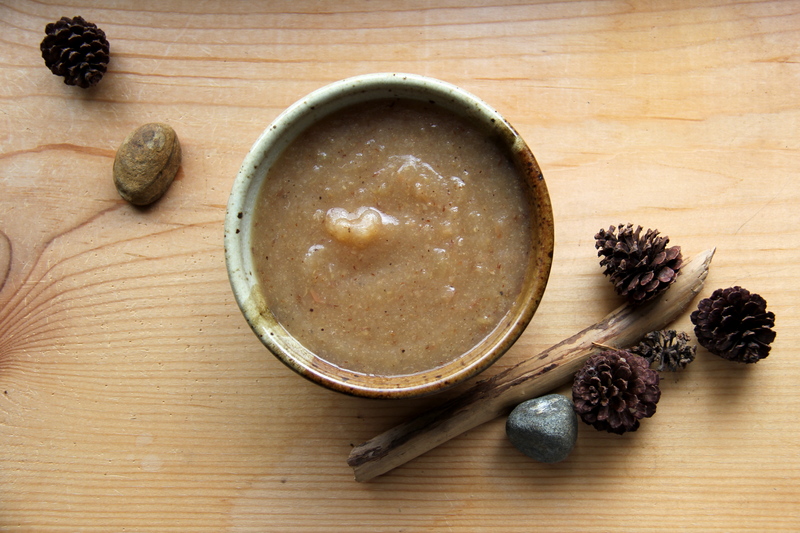 I’ll be posting other recipes from time to time until the winter session starts up in February. If you have any questions in the meantime, feel free to contact me through the link above- I’d love to hear from you! Place potatoes in a pot with water to cover by about an inch, add a good pinch of salt and bring to a boil. 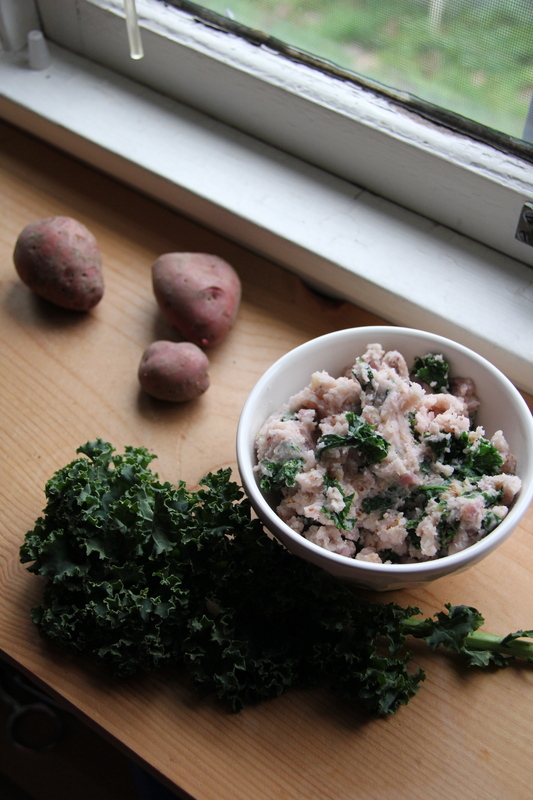 When potatoes can easily be pierced with a fork, toss the kale into the pot and cook for 30 seconds to a minute. 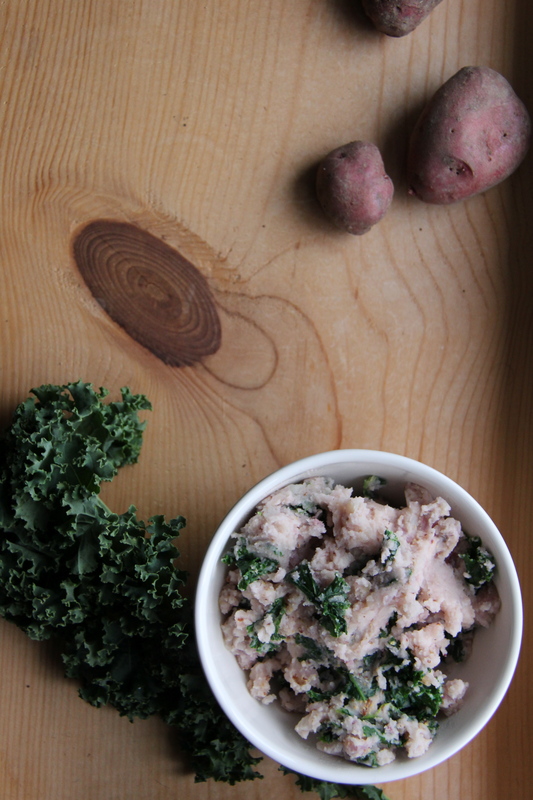 Strain the potatoes and kale and return to the pot. Use a potato masher or fork to mash the mixture, adding in the half and half, butter and Dijon. 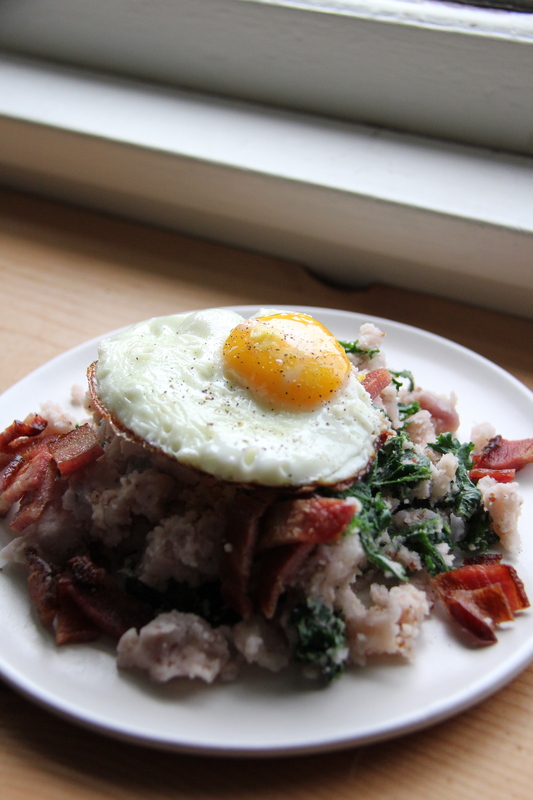 When it’s reached a texture you like, dish it onto plates and top with bacon and fried egg. A grind of fresh pepper and you’re ready to eat!